The U.S. Postal Service released a new baseball themed stamp last month on July 16, 2008. 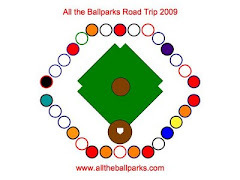 It is titled Take Me Out to the Ballgame and commemorates the 100th anniversary of the song that is now traditionally sung during the 7th inning stretch. The stamp was designed by Richard Sheaff of Scottsdale, Arizona. The stamp is pretty cool looking with the 42 cent marking on the top inside a baseball. The scene on the stamp is a historic looking scene of a pitcher and the rest of the field and players smaller in the background. The scene is framed by the words "Take Me Out to the Ballgame. In small numbers on the bottom left is the year 1908 and the bottom right is the year 2008.